Haesim Do paints on cypress. 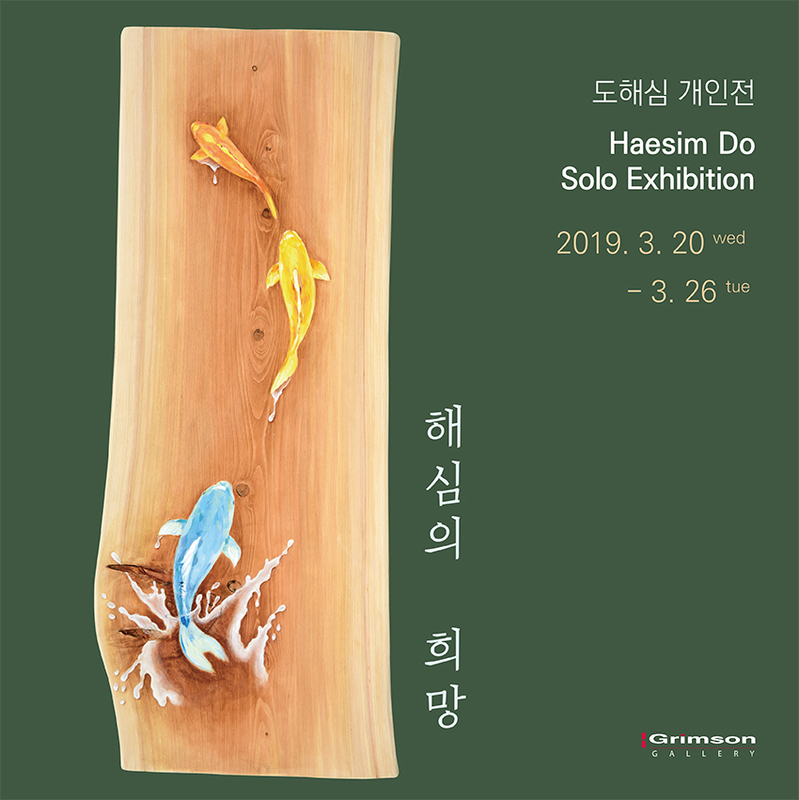 For her fourth solo exhibition, she is presenting images of golden fish freely swimming within tree trunks. Although the paintings are inanimate objects, the overwhelming movements that are implied in the fish would wonder the viewers. Do is also effectively using the natural smell and grains of cypress to enhance the experience. The body of works is filled with positive and warm atmosphere as Do aims. Her paintings are titled with words such as ‘love’ and ‘hope’. Her strong will to be happy is visualized with fish swimming upwards. 드러나는 희망의 빛남을 만날 수 있었다. 인생은 때때로 강을 거슬러 올라가야 할 때가 있다. 그것은 희망이며 기쁨이고 존재감의 재확인이다. 희망이라는 어둠 속에 한 줄기 밝은 빛줄기를 따라가본다.